Republican People’s Party (CHP) has made a second application to Parliament Speaker Cemil Çiçek to nullify the approval of the education reform bill at a meeting of Parliament’s Education Commission, after examining audio tapes from the stormy meeting, Hurriyet Daily News reports. Prime Minister Recep Tayyip Erdoğan, however, played down the CHP’s drive to have the proceedings nixed, saying that the opposition’s “unlawful requests” cannot stop parliamentary work. “There are 326 [lawmakers of the ruling Justice and Development Party (AKP)] and the figure for the opposition is obvious. The opposition is attempting to dominate those 326 even though it holds only half as many seats. We can’t allow the minority to dominate the majority,” Erdoğan told reporters yesterday. The row over the education bill has dominated Ankara’s agenda since March 12, when the AKP rushed the draft through the Education Commission in a session marred by unprecedented brawls and squabbles. The tensions erupted after CHP lawmakers found themselves stuck at the door of the tiny room, packed in advance with AKP deputies. The commission’s chairman took advantage of the chaos and hurriedly read out the draft, which was approved by AKP votes in half an hour. 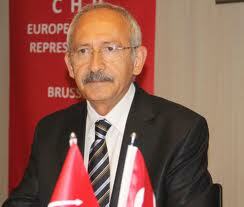 The CHP has already asked Çiçek to nullify the proceedings on the grounds that basic procedural rules were violated. On Monday, CHP Deputy Parliamentary Group Chair, Muharrem Ince distributed CDs to the press purporting to show Erdoğan and other AKP deputies mobilizing their comrades to disrupt the Education Committee meeting, where several CHP deputies were brutally beaten by AKP thugs. To date, Speaker Çiçek refused to countenance CHP and MHP requests to have the results of the meeting annulled and the controversial bill sent back to the Committee for reconsideration. CHP and the other opposition parties fear that AKP will coerce Çiçek to accept the proceedings as valid and AKP will resort to further violence if the bill comes to the general floor. 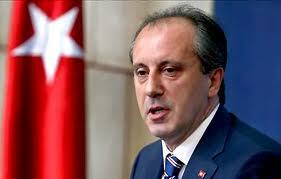 Ince claims that AKP whips have already instructed their deputies to quash any objections to the bill on the floor.